The coming crisis is not the US government shutdown. It’s the imminent financial collapse and revolution followed by the time of trouble for God’s people. 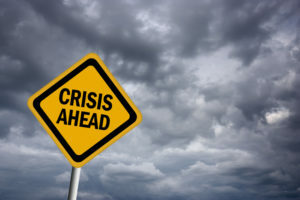 Today I feel the need to talk about the required preparation to meet the crisis that’s just ahead of us. If you live in the US, you’re already entering that crisis which is only going to get much, much worse. If you live outside the US, you have a little bit more time. This crisis which is starting in the US will be global. By the end of this year the entire world’s economy will have collapsed. Your country won’t escape what’s coming. My goal today is to give you some useful, practical pointers regarding how to prepare. But before I do that, I want you to really grasp the seriousness of what lies ahead. So we’ll do a quick recap of the nature of the crisis ahead as well as the nature of the spiritual trial we’ll be called to endure. Then we’ll move into the more practical things you can start to do today. What exactly is happening? It’s quite complex but also quite simple. Let me give you a quick summary of what we discussed in our last two programs. The Rothschilds and other bankers who own the world, working in tight collaboration with the Jesuits, are about to claim what is theirs. In 1933 the United States of America sold their birthright to the banks in order to rebuild the country after the Great Depression. In 1933 the US became United States Inc., a private corporation owned by the banks. The Great Depression, just like the impending US financial collapse, was a staged event. Its purpose was to facilitate the take-over by the Rothschilds. As a result, the Federal Reserve Bank was established. The US left the gold standard as a backing for the dollar so that our currency was no longer backed by any assets. At that point the US became a “fiat economy”, meaning an economy based on debt. Sooner or later all fiat economies fail. The US debt has officially reached nearly $22 trillion. The real number is much, much higher when you add unclaimed liabilities like Social Security and Medicare. Because this rate of debt is unsustainable, and more importantly, because the appointed time has come, the bankers are coming to take the collateral on their loans. That collateral is the US: all of its assets, resources and people. Who’s behind all of this? The Jesuits. They work through the bankers and the kings of the world to accomplish their purposes. What is their purpose? To pave the way for the anti-christ beast to take the leading role in world events that is prophesied in the Bible. The anti-christ’s wound is about to be healed, as prophesied in Revelation 13:3: “And I saw one of his heads as it were wounded to death; and his deadly wound was healed: and all the world wondered after the beast”. The healing of the wound is the full restoration of anti-christ’s power through the legislation, diplomacy and military power of the United States working in conjunction with Apostate Protestantism. That refers to those Protestants that are declaring that “the protest is over” and are tightening their ties to the papacy. The total financial collapse of the US sets the stage for the healing of the anti-christ’s wound. The US economy, followed by the entire global economy, needs to collapse so that they can implement the New World Order. Who’s they? The Rothschilds, the Jesuits, the Vatican, and the kings of the earth. The financial analysts are calling the collapse “the global economic reset”. Once the New World Order economy is in place it will give them total control over all buying and selling. In the same way that in 1933 the US currency lost the gold backing, so in 2019 the US currency and the world currencies will lose their “materiality”. They’re going to implement a fully “non-material” currency, of which the bitcoin and other digital currencies are precursors. There won’t be any more physical money. How much you own or owe are entries in a computer ledger. All of this is leading straight to the mark of the beast. Amidst all the chaos, unemployment, hunger and social unrest arising from this year’s collapse and revolution, the US will literally beg the Pope to step in and help restore order. This is exactly what happened during the Middle Ages when the Bishop of Rome stepped in to restore order in the crumbling Imperial Roman Empire. At this point we can consider the anti-christ’s wound to be healed. What happens after anti-christ’s power is restored in the United States? The enforcement of the Sunday Laws will be progressive. “Laws” because the original order to worship on Sunday will be followed by additional legislation to persecute God’s Sabbath-keeping people. First, a Sunday rest is made law. No one will be able to work on Sunday. Order to attend a public place of worship on Sunday. Sabbath-worship will be prohibited with increasing penalties for violation. Laws will be enacted to restrict the movement of Sabbath-keepers and to take away their property and inheritance rights. Ultimately, a death decree will be issued against Sabbath-keepers. If all of this sounds extreme, remember that Satan will be allowed to create more chaos, revolutions, wars, famine, pestilences, and natural disasters. He will also call fire down from heaven and perform multiple counterfeit wonders and miracles to deceive the whole world. God allows this so that the whole world and the watching universe can see the total ruin and devastation brought about by Satan’s evil mode of government. At the beginning of the enactment of the Sunday Laws the Lord will send the Latter Rain, His Holy Spirit. God’s people will go forth with great power from heaven to proclaim the Three Angels’ Messages to the whole world. We’ll be devoting a full study just to the topic of the Latter Rain. If you want to receive the Latter Rain and have the victory in all the trials and temptations that lie ahead, you need to prepare. So let’s now talk about the required preparation. I’ve identified six areas of preparation. This is not intended to be an exhaustive preparation guide. I just want to share some tips with you that hopefully you’ll find useful. Spiritual preparation is the most important of all. Our generation will be put before the most difficult obedience test ever placed before men. We’ll need to make a choice between the seal of God – Sabbath worship – and the mark of the beast – Sunday worship. We won’t be able to buy or sell without taking the mark of the beast. Those who choose the seal of God will be marginalized from the economy. Ultimately there will be a death decree issued against us. God will release the four angels that are holdback back the winds of strife. They will spread desolation over all the earth in the form of the last seven plagues. Listen to how the Christian world will react when those judgments begin to fall. Listen to what Ellen White says in Great Controversy Chapter 39 called “The Time of Trouble”: “Those who honor the law of God have been accused of bringing judgments upon the world, and they will be regarded as the cause of the fearful convulsions of nature and the strife and bloodshed among men that are filling the earth with woe. The power attending the last warning (referring to the Third Angels’ Message) has enraged the wicked; their anger is kindled against all who have received the message, and Satan will excite to still greater intensity the spirit of hatred and persecution”. “As the Sabbath has become the special point of controversy throughout Christendom, and religious and secular authorities have combined to enforce the observance of the Sunday, the persistent refusal of a small minority to yield to the popular demand, will make them objects of universal execration. It will be urged that the few who stand in opposition to an institution of the church and a law of the state, ought not to be tolerated; that it is better for them to suffer than for whole nations to be thrown into confusion and lawlessness. The same argument eighteen hundred years ago was brought against Christ by the “rulers of the people.” “It is expedient for us,” said the wily Caiaphas, “that one man should die for the people, and that the whole nation perish not.” This argument will appear conclusive; and a decree will finally be issued against those who hallow the Sabbath of the fourth commandment, denouncing them as deserving of the severest punishment, and giving the people liberty, after a certain time, to put them to death. Romanism in the Old World, and apostate Protestantism in the New, will pursue a similar course toward those who honor all the divine precepts”. The trials that God’s people will go through will increase crescendo. It will take the faith of Jesus (Revelation 14:12) to endure until the end. The faith of Jesus is the faith that carried Jesus through the agony in Gethsemane and the crucifixion on Calvary. He couldn’t see beyond the portals of the grave. He who had never been separated from His Father tasted the wrath of God on behalf of all of us. His Father withdrew from Him in displeasure at our sins which Jesus carried. It was only by faith in His Father’s Word that He would raise Him on the third day, that Jesus drank the bitter cup of death for us. We’re going to need that same kind of faith. God’s true, faithful and righteous people will be accused of the worst crime, that of bringing tragedy upon all mankind and the planet. The self-righteous who have trampled upon God’s holy Sabbath will have power to afflict God’s people to the uttermost. Angels will step in to preserve God’s people from certain death until Michael the Archangel – Jesus – stands up and comes quickly to deliver God’s people. How do we prepare for something like this? How do we prepare to receive the Latter Rain that will empower us to endure until the end? Stop sinning. Repent of your sins. Forsake your sins. Live a holy life. Claim the blood over your spirit and flesh to overcome. “They overcame him by the blood of the Lamb and the word of their testimony”. They overcame You already have the victory if you earnestly plead the blood over the frailties of your flesh and spirit. “13 And he (the False Prophet) doeth great wonders, so that he maketh fire come down from heaven on the earth in the sight of men, 14 And deceiveth them that dwell on the earth by the means of those miracles which he had power to do in the sight of the beast; saying to them that dwell on the earth, that they should make an image to the beast, which had the wound by a sword, and did live” (Revelation 13:13-14). “13 And I saw three unclean spirits like frogs come out of the mouth of the dragon, and out of the mouth of the beast, and out of the mouth of the false prophet. 14 For they are the spirits of devils, working miracles, which go forth unto the kings of the earth and of the whole world, to gather them to the battle of that great day of God Almighty” (Revelation 16:13-14). Learn to fast. It will deepen your relationship with the Lord. It will help you to hear the still small voice of the Holy Spirit. It will teach you that “man doesn’t live by bread alone but by every word that proceeds out of the mouth of God”. It will give you more confidence in your ability to abstain from food, so that you don’t sell your salvation for a plate of lentils. And fasting does have supernatural power. If you’d like to learn more about fasting read my blog post “Fasting: A Supernatural Process”. Witness more actively. 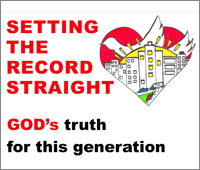 Share this podcast with your church, friends and family. Teach others what you know. Lead Bible studies in your workplace and community. Witnessing to others is a way of helping others while buttressing your faith. Learn to trust and obey. Depend on God for everything. Banish any self-sufficiency. You can’t make it through without Jesus. Financial analysts have been putting out a lot of advice for what to do to prepare for the collapse. They’re all in agreement the collapse is coming. It’s not if but when. But there’s even agreement about the when. Most analysts agree 2019 is the year of the collapse. First and urgent thing to do is to withdraw your money from the bank. Do that as quickly as you can. The banks are going to close and freeze your assets. You won’t be able to access your money. Whatever you don’t withdraw you’ll probably lose. Leave in your bank account only what you need to pay bills over the next 3 months or so. For a while cash will be valuable until inflation becomes ridiculous, like in Venezuela where the inflation rate is nearly one million percent. Find or make a safe place in your home to stash your cash, ideally in a room that you can lock. I believe a lot in security by obscurity. Don’t tell anyone what you’ve done and don’t arouse suspicion by any unusual behavior. Invest in your own safety and protection. You don’t need a huge amount of money to buy emergency Preparation equipment and food and water for storage. A couple of hundred dollars will get you started and build up your reserves gradually over the next few weeks. I’ll say more about this in the section on Material Preparation. Now listen carefully if you have money. If you’re not already living in the country and don’t yet possess a secluded country home, now is the time to acquire it. Don’t delay – you don’t want to be trapped inside the city. Time is running very short on getting out of the city. More about this in the “Preparation to Leave the Cities” section. You don’t need an elaborate home. A small house will be sufficient because you’ll need to invest in solar energy panels and cisterns or wells for water. “They shall cast their silver in the streets, and their gold shall be removed: their silver and their gold shall not be able to deliver them in the day of the wrath of the Lord: they shall not satisfy their souls, neither fill their bowels: because it is the stumbling block of their iniquity” (Ezekiel 7:19). “Neither their silver nor their gold shall be able to deliver them in the day of the Lord’s wrath” (Zephaniah 1:18). Invest your money in the Lord’s work. God’s end time vineyard languishes for lack of funds. Donate your money to finishing God’s work while it’s still day. The night cometh when no man can work. Your money is most useful now. Identify the ministries that are really carrying the everlasting gospel and the Three Angels’ Messages to the whole world. Share your assets with them. 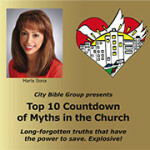 I include City Bible Group among those ministries. We need funding to reach more people. God will abundantly bless those who donate their money to His cause. This section is about the minimal survival provisions you’ll need to be able to stay at home and not have to go to a FEMA camp for food or shelter. If you’re able to invest $300 wisely you and your family will have the minimum you need for a 3-month period. Make sure all your door locks work so that you can your family can lock yourselves inside your home. People may be going on rampages, looting businesses and breaking into homes. You want your house to be a little fortress and refuge during the months ahead. Alarms are useful to alert you but don’t count on any private company responding if there’s an incident. You’ll need water in abundance, both drinking and non-drinking water. Don’t forget the non-drinking water. You can start right now filling up empty containers for bathing, brushing your teeth, washing your hands and flushing toilets. Having a cistern can be useful as well. Make sure you have a gas stove or some other way to cook food, with plenty of fuel to last you for a number of months. Bear in mind that this is going to be a prolonged crisis. I won’t talk about car fuel because I suspect that people’s freedom to move about will be curtailed with curfews and other restrictions. Plus the safest place to be will be your home. The last thing you want is to drive straight into a rioting mob! We’ve seen those scenes in Paris when drivers encounter groups of “Yellow Vest” protesters. Stop watching TV and movies. Please! The Jezebel spirit is being channeled through television and other media. It puts spells on people, making them passive and lethargic. It lulls you into thinking everything is OK. It programs you so that you end up accepting whatever overt and/or subliminal messaging is being served them. Be very discriminating in what you watch and how much time you spend in front of a TV or device. “for by thy sorceries were all nations deceived” (Revelation 18:23). Understand that the days of normalcy are over. From now on the pressure on God’s people will be constant. It hasn’t been “Business as usual” for quite some time now. But from now on we’ll be dealing with one crisis after another of increasing magnitude until Jesus comes. Memorize scripture. The power of the sword of the Spirit keeps your mind sharp. It’s also ammunition when you need to stay calm and focused and set the right priorities. Cultivate an attitude of total dependence on God. Banish all thoughts of self-sufficiency. The greatest Preparation is worthless without divine help and protection. In times of great persecution which are coming you’ll need angelic help. So let’s be humble and know that we can do nothing without God. In your mind start letting go of possessions and attachments. Feel ready to leave your home and belongings and even to lose everything if that were required. Feel ready to forsake relationships that pull you away from God. In the hour of trial that lies ahead the only thing that will save you is your relationship with God. You can’t take your possessions with you. Don’t make the mistake of thinking that it’s about mind control. It’s the opposite: total mind surrender to God – not to Jezebel, but to God. “Bringing every thought into captivity to the obedience of our Lord Jesus Christ” (2 Corinthians 10:5). City Bible Group has a special message for God’s people living in cities. That message is: make it a priority to leave the city. It can be hard! You don’t know any other way of life. I can absolutely relate to that. I was a city dweller most of my life, living in big cities like New York, Paris and Houston. I made changes progressively over time, first moving from Houston to a very wooded suburb of Houston and then moving to a green area outside a small city. I’m still working on achieving full country living. Ever since I understood the importance of living outside the city it’s been my goal to do so. But right now I’m stuck in a suburban area of a small city, taking care of my mother who’s very frail from age and has health challenges. I trust and don’t give up hope that the Lord will prepare a place in the country for me. The Lord knows my situation and He knows yours. If you’re a single woman living by yourself you obviously can’t settle alone in a secluded area, especially if you don’t have any country living skills. There are yet other challenges if you’re the head of a family. In every case, the Lord knows is intimately aware of your situation. The Book of Revelation tells us that God had prepared a place for the woman – meaning the Church – where she was helped and nourished (Revelation 12:6, 14 and 16). If you pray fervently God will prepare a place for you. If you feel that moving to the country is totally out of reach for you, please watch this short video on how a poor man was able to buy land and build a home in the country. God’s people are called to be holy, distinct and set apart. In the city God’s people are surrounded by much evil and temptations. It’s easier to preserve our purity when we live in the country. The city glorifies man whereas nature glorifies our Creator. We want to live among His creation rather than the creation of man. When the test comes between taking the seal of God (Sabbath worship) or the mark of the beast (Sunday worship), those who don’t accept the mark of the beast won’t be able to buy or sell. It’s impossible to survive in the city without buying or selling. Things are going to get very rough for Sabbath-keepers. That’s why we need to leave the city. If you live in a big city it’s more urgent that you leave as quickly as you can. Time is running short. Seek the Lord earnestly to make a way for you to leave and to prepare a place for you in the country. For all of us, we need to actively explore country living and begin to acquire homes and land as well as the required skills. Start discussing it with your family and church friends and see how your project will start coming to life. Remember that the Holy Spirit is our teacher and helper. He will guide us to the place God has for us. We covered a lot today. My goal wasn’t to overwhelm you. If you’re feeling that way right now, stop! My goal was to suggest lots of concrete, practical things you can start doing today to be prepared for the crisis ahead. I gave you lots of options. You don’t need to do all of them. Just start somewhere, say pick one thing from each area: spiritual, mental, physical, financial, material or country living. Or maybe pick the area where you feel you’re most behind and need to catch up. Some of these things you’re already doing. Some of these things you may not be able to do or may not need to do. If like me you’re stuck in a situation where you can’t go to the country, that’s ok. Work on other areas instead. Start small, start quickly, and the actions that you do take will get you moving forward. Above all things remember this: your most important preparation is spiritual. If that’s all you do, God will help and protect you. He will give you your crown of glory because He is faithful. “20 Behold, I stand at the door, and knock: if any man hear my voice, and open the door, I will come in to him, and will sup with him, and he with me. 21 To him that overcometh will I grant to sit with me in my throne, even as I also overcame, and am set down with my Father in his throne. 22 He that hath an ear, let him hear what the Spirit saith unto the churches” (Revelation 3:20-22). Tagged anti-christ, Babylon, bankers, beast, Bible, bitcoin, cities, collapse, controversy, country living, crisis, currencies, currency, deadly wound, death decree, debt, economy, emergency supplies, federal reserve, financial collapse, financial crisis, global economic reset, God, gold standard, Holy Spiritl, Jesuits, Jesus, Latter Rain, mark of the beast, material, mental, mind control, New World Order, Pope, prayer, Preparation, prophecies, prophecy, prophesy, provisions, religious persecution, revolution, Rome, rothschilds, Sabbath, Sabbath-keepers, salvation, scripture, self-sufficiency, sin, spiritual, Sunday Law, Sunday rest, supplies, time of trouble, US dollar, witness, world currencies. « How Much Time Do We Have Left?